Participants activating Nasir Nasrallah's instruction Dear Friend (2015). Image courtesy Riwaq, Manama, Bahrain 2017. 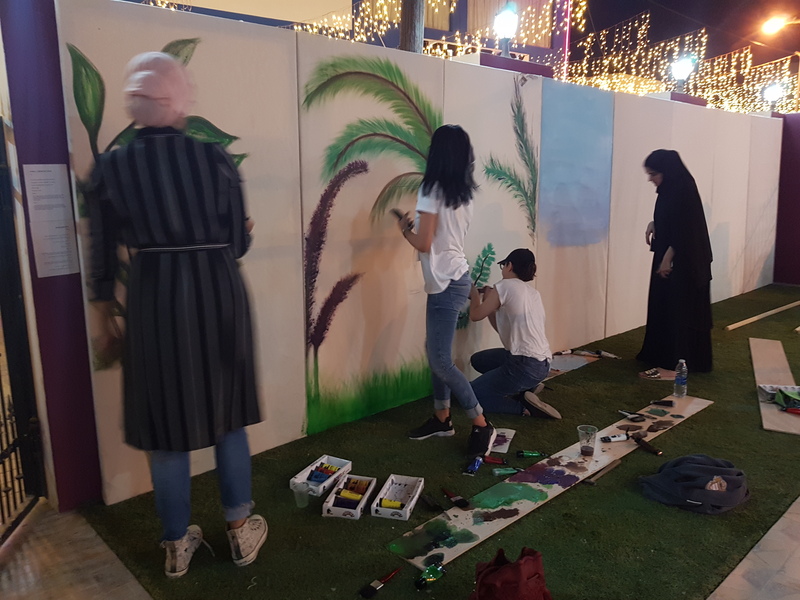 Al Riwaq Arts Space, Manama activated do it بالعربي [in Arabic] for the second time at the central building in the Adliya neighbourhood as part of their annual arts festival The Nest (November–December 2017). 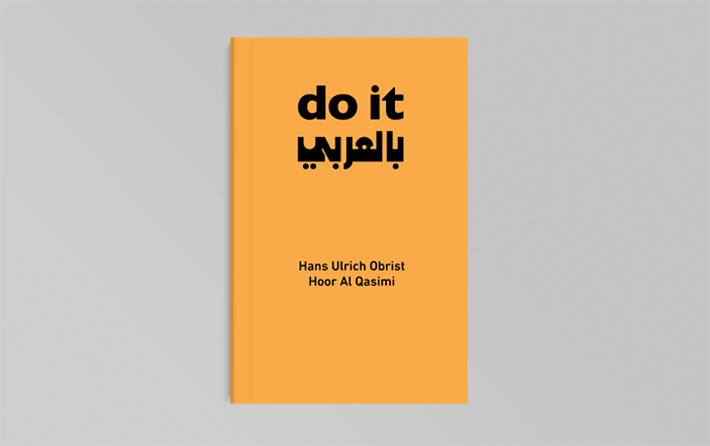 Building on the success of the previous iteration of do it, this edition saw even greater engagement from members of the public. 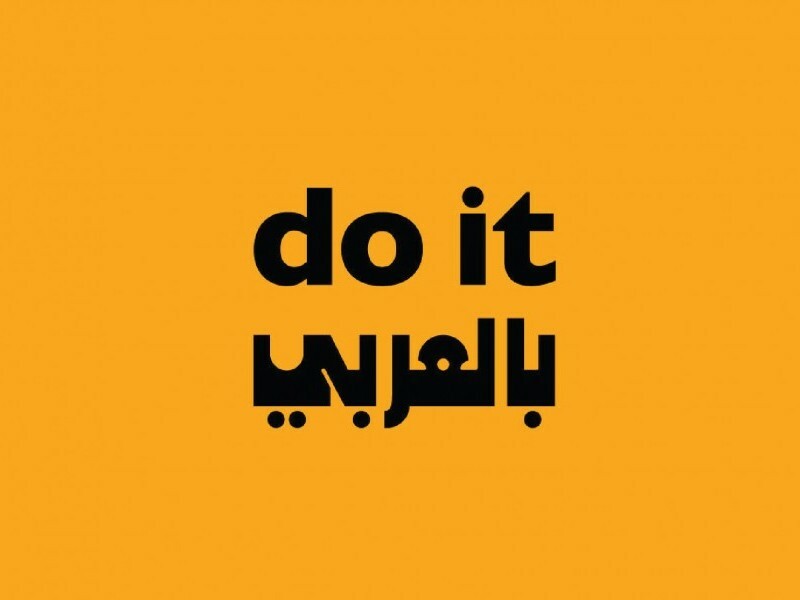 The instructions realised were conceived by Adel Abidin, Sarah Abu Abdallah, Abdulnasser Gharem, Manal Al Dowayan, Etel Adnan, Rita Alaoui, Dia Batal, Aya Haidar, Mona Hatoum, Khaled Hourani, Kamala Ibrahim Ishaq, Nasir Nasrallah, Khaled Sabsabi, Hassan Sharif and Rayanne Tabet. 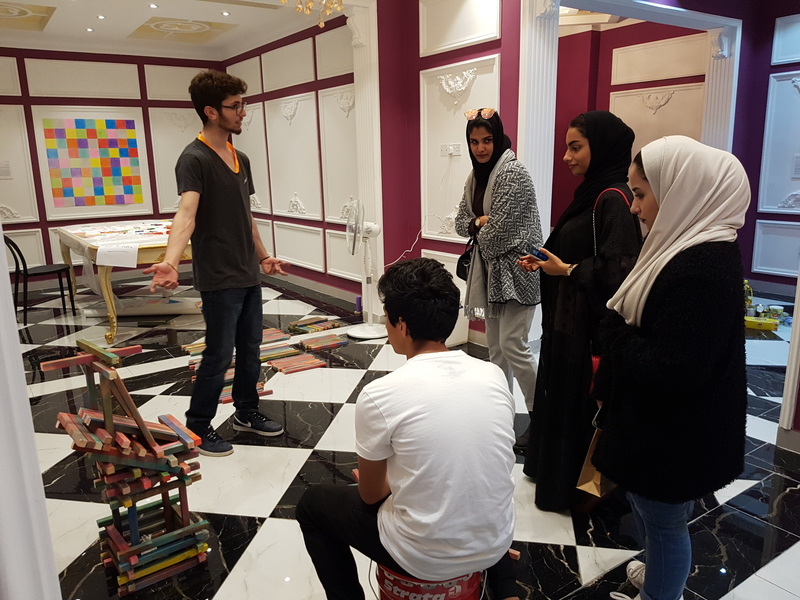 A group of artists and volunteers work together to activate Kamala Ibrahim Ishaq’s instruction (2015). Image courtesy Riwaq, Manama, Bahrain 2017. Visitors activating Amir Nour's instruction (2015). Image courtesy Riwaq, Manama, Bahrain 2017.